10 Cool Places in Vegas That No Longer Exist. Listener Email: Trip report (solo traveler), Dining at bars, Dining at bars X2/Brokeback woman/New Casinos on Strip/Al Fresco dining. 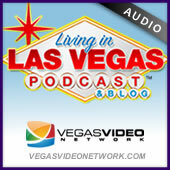 Real Quick Stories: Hummingbird Whisperer, 3 Hour Tour of LV. Live Chat Questions: Pig farms & buffets, NHL update, Best bar for St. Paddys Day, Red flags. Have a Drink on Me.